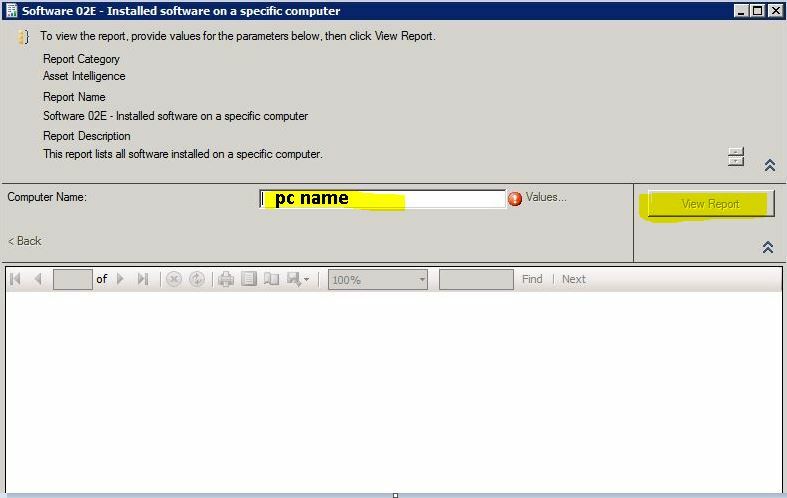 In Sccm, normally I generate a report for a pc for "installed software on a specific computer" using gui in the following manner. then enter pc name and by clicking view report. is it possible to generate above report using powershell ? could not find any suitable document or tutorial to do that. Any help would be greatly appreciated ! Ps: my intention is to generate /grab software installed on remote pcs using a script. I use sccm reports because sccm database has already stored it and even if the remote pc is not online, we can just generate the report without accessing the remote pc. Browse other questions tagged powershell reporting sccm-2012-r2 or ask your own question. How can I generate a 10-day report every day using ISA Server 2006? Obtain a list of servers from AD on which a specific software is installed?